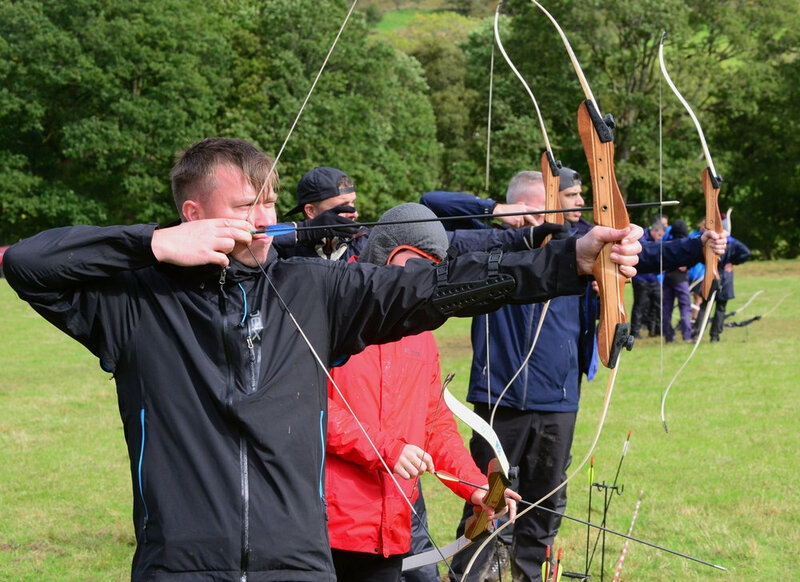 Try your hand at Archery? Hour long sessions, after a safety briefing and some instruction you will soon be hitting the target. Warning can get quite competitive in families! Please wear long sleeves and appropriate clothing for the prevailing weather. Meet at Elan Village Green (East end of the village) at the start of session. Children must be big enough to hold and draw the bow. Due to the physically demanding nature of the activities run by Elan Valley Lodge all participants must be reasonably fit and healthy. Any health concerns must be discussed with the Instructor prior to arrival. We are currently taking group bookings for the 2018/19 season, activity breaks, walking weekends, family celebrations and get togethers. Please call 01597 811143 or e-mail steve@elanvalleylodge.co.uk for availability.